Salam & Happy Belated New Year 2011 to all. It's the first of week of January and everyone is back on the move, just like me. School re-opens, me and my kids are back to school. During the school holidays, my two daughters have found a new hobby that is jungle trekking and mountain climbing. It all began when they followed my husband for his routine exercise every weekend until they fell in love with this outdoor activity. 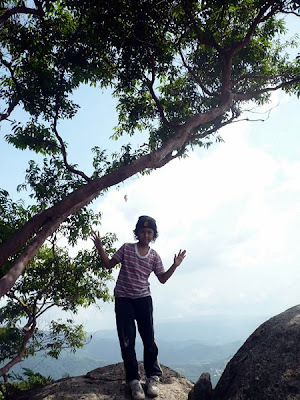 Later, they went further by climbing Mount Tok Wan . 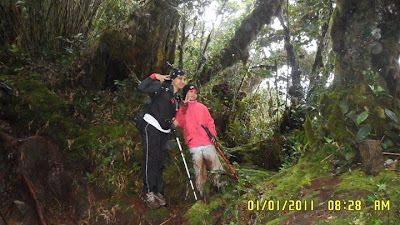 On the New Year's Eve, she also followed her father to Mount Irau in Cameron Highlands with a group of climbers in order to conquer the summit. She made it to the top and celebrated the New Year 2011 and her success on the summit of Mount Irau. 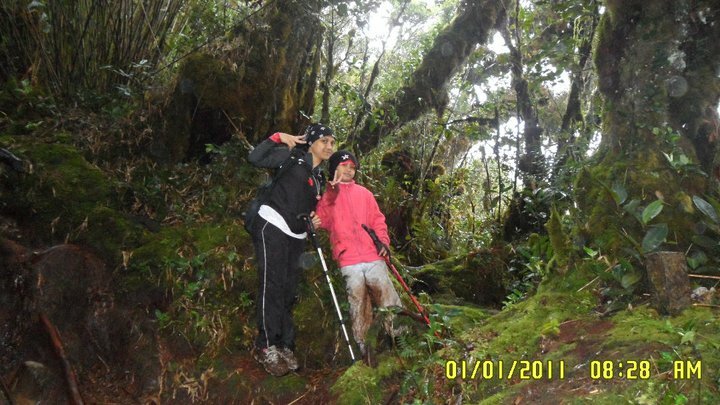 In the middle of the mossy forest of Mount Irau. 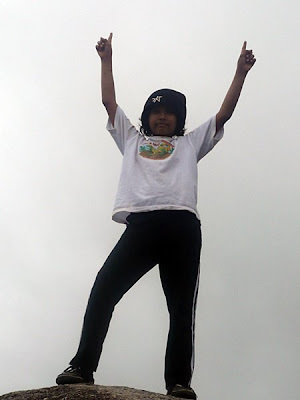 Yesterday, she conquered the summit of Mount Datuk in Rembau, Negeri Sembilan. Insyaallah, she'll be joining another expedition to the Pine Tree Trail at Fraser's Hill at the end of this month. 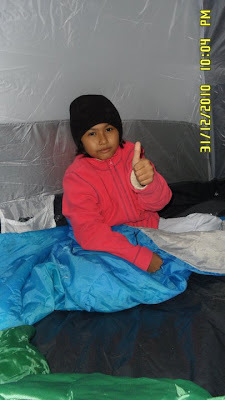 Talking about her stamina and performance, she managed to beat those adults in the group. You make us proud for having a daughter like you! wah dah banyak puncak berjaya ditakluk..bagus..
Siang tadi pun ayahnya keluar mendaki ke Gunung Nuang. Tapi esok adalah hari persekolahan, maka Fatimah tidak turut serta. Semoga hobi barunya ini akan menjadikan seorang anak yang mempunyai semangat dan keyakinan tinggi serta berani pada masa akan datang, insyaallah! Nice blog. Thanks for sharing this useful information. I like your website. Thank you for the great information. In case you get business promotion information for Create Business Profile at cheap price available in the India. I will come back to your online website again.